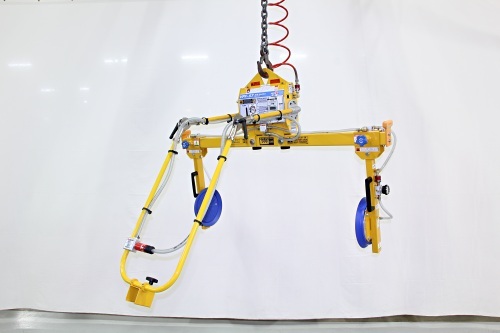 ANVER side grip vacuum lifting frames feature a spreader beam that has adjustable crossarms which have vacuum pads on two sides for handling products that cannot be lifted from the top. 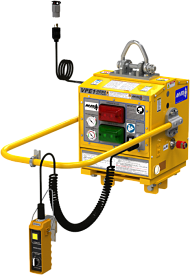 Ideally suited for loading and unloading products into shipping containers or onto skids. 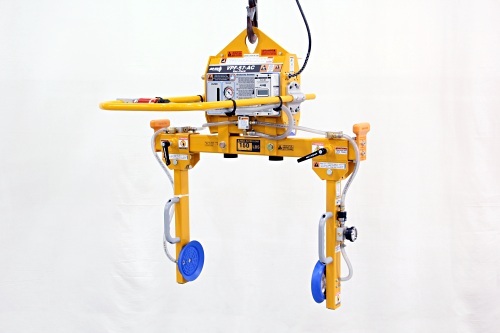 ANVER side grip vacuum lifting frames eliminate the need for several people, straps, hooks, and other lifting aids. Typical applications include metal enclosures that vent from the top, file cabinets, HVAC equipment, and others on which the top surface is insufficient to safely handle the load. Note: The loads side panels, hardware and assembly construction need to have adequate strength to be lifted from the sides. It is the customers responsibility to ensure their product can be lifted without damage. 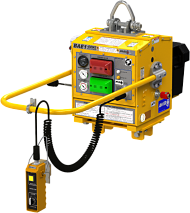 Compatible with many of our standard vacuum generators. Crossarms adjustable along spreader beam. Locking shut-off valve and vacuum gauge on pivoting crossarm. 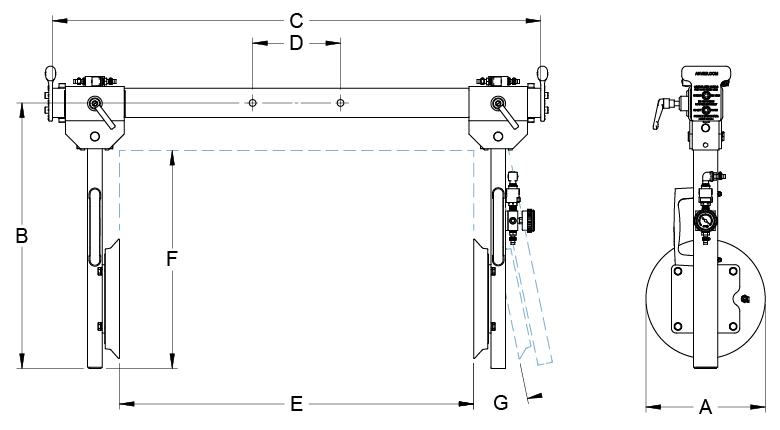 End of beam positioning handles. 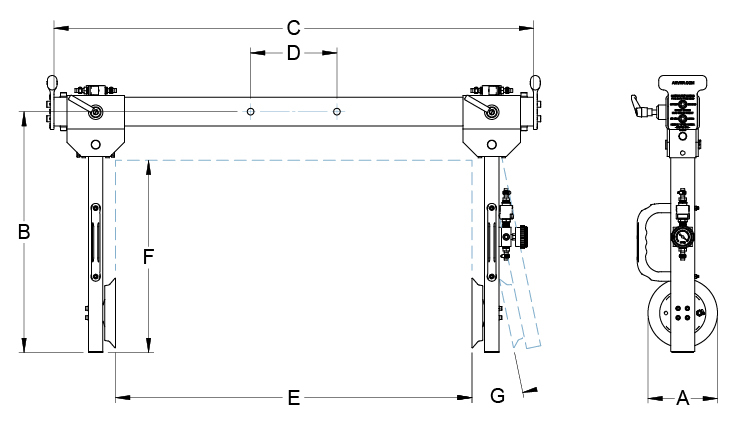 These lifting frames can be broken down to ship in a smaller crate. 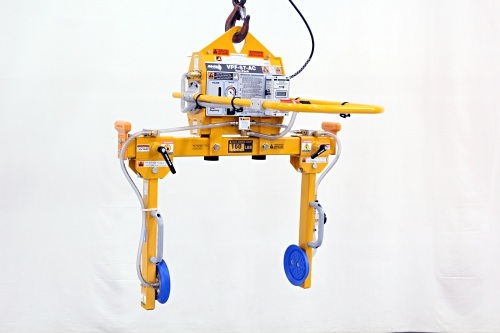 ANVER offers a wide selection of side gripping vacuum lifters and rotators for one person manipulation of loads in addition to our standard line of below-the-hook vacuum lifting devices, which include self-powered mechanical vacuum lifters, electric and air-powered vacuum lifters in capacities ranging up to 60,000 lb (26,600 kg) or more. Contact ANVER for more information, or fill out our quote form and a Sales Engineer will respond to your request shortly.